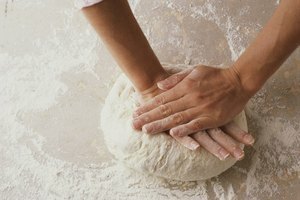 It may seem like your newly made bread dough is making a fool of you when it refuses to rise enough for you to bake it. 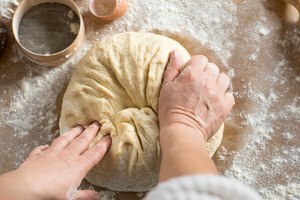 You have kneaded and waited and still it won’t rise as it should. 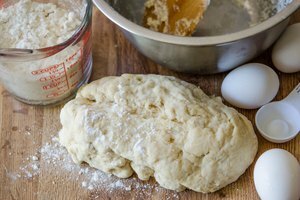 Most people who find themselves with lumpy, non-rising, bread dough usually throw it out and start over. This is because baking dough that doesn’t rise makes a heavy, brick-like loaf of bread. The lack of rising is usually caused by using outdated yeast or not using enough yeast. 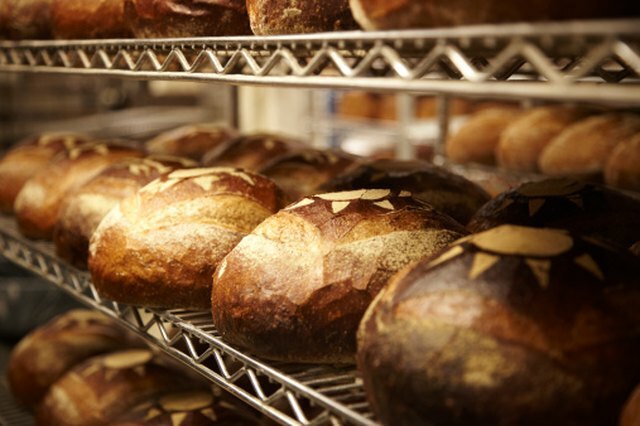 But, you don’t have to throw in the towel and throw out the non-rising dough just yet. 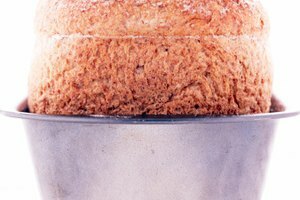 You can save that bread you worked so hard for by working just a little bit longer and making a quick fix for the dough batch. Set aside the bread dough that refuses to rise. Add warm water to a bowl and use a food thermometer to take the water temperature. You want it to be between 110 and 115 degrees Fahrenheit. Avoid using water hotter than this temperature as it will kill the active yeast. Add 2 tbsp. of sugar and stir it to dissolve the sugar. Add the contents of one package of active dry yeast to the warm water mixture. The rehydration of dry active yeast reactivates it quickly, according to the experts at Red Star Yeast. Cover the dry yeast mixture with a warm, wet dish towel. Place the bowl in a warm area and wait approximately 10 minutes for the yeast to fully activate. Uncover the yeast mixture and look for foam or bubbles on top of the mixture. This foam indicates that the yeast is alive and can be used for baking. If it doesn’t foam, you need to purchase new yeast packets. Mix the ingredients for a new batch of dough following the recipe you used for the first batch, but this time add the yeast mixture that is active. Place both the first batch of dough (the one that won’t rise) and the new one in a plastic zip bag. Press as much air out of the bag as you can and zip the bag shut. Knead both dough batches together through the plastic. The healthy yeast cells from the second batch will be enough to make the first batch rise. When thoroughly mixed together, remove from bag and place in a bowl. Cover with a warm damp dish towel and allow it to rise for the amount of time specified in the recipe. Knead and allow the dough to rise again if called for in your recipe. Divide the dough into loaves and bake as instructed in your recipe.